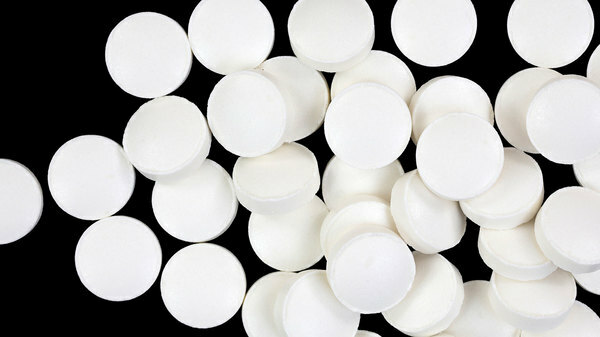 Twenty-one years ago, MIT neuroscientist Dr. Richard Wurtman introduced melatonin as a new solution to sleep problems. His lab patented supplements in hopes of curing insomnia in the older population, whose melatonin receptors calcify with age. “Researchers say pills of the natural hormone...will bring on slumber quickly without the addictive effects of drugs,” the New York Times reported at the time. In the same article, Judith Vaitukaitis, then director of the National Center for Research Resource, said the hormone “offered hope for a natural, non-addictive agent that could improve sleep for millions of Americans." Nonetheless, melatonin was a hit. In the last two decades, the all-natural sleep aid has earned a spot in medicine cabinets across the country. Inexpensive, easily accessible, naturally occurring and considered safe, melatonin appeals to the those who’d rather avoid prescribed pills. Naturopaths, chronic insomniacs, shift-workers and frequent fliers pop milligrams of melatonin without thinking twice. According to the National Center for Complementary and Integrative Health, nearly 1.3 million American adults reported taking melatonin in February, 2015. Parents are even handing it out to their kids — 419,000 as of February — believing melatonin to be a harmless, naturally produced hormone. Melatonin is indeed naturally produced, but the hormone is one of the murkiest supplements on the market, unsubstantiated by incomplete and developing research. Only in the U.S. is melatonin available over-the-counter as a dietary supplement, and long-term usage can alter natural hormone levels and even sabotage sleep. Given to children, its potential side effects are even more concerning. Melatonin, secreted by the pineal gland, is the messenger that announces bedtime to our brains. Darkness stimulates its release into the bloodstream; light inhibits it. Once released, it binds to hormonal receptors located in the brain’s suprachiasmatic nuclei — a cluster of nerves that regulates the body’s internal clock and circadian rhythms — and travels into cerebrospinal fluid and the bloodstream. Our bodies naturally produce “endogenous” melatonin (or, “growing or originating from within an organism”). What ends up on pharmacy shelves in synthesized “exogenous” melatonin — growing or originating from outside an organism. Its most common application is that of sleep aid; users are told to take their dose directly before bedtime, when endogenous levels are already on the rise. Frequent fliers swear by its effectiveness in recovering from jet lag recovery, saying the hormone helps reset their biological clock in a new time zone. Studies also suggest melatonin can help prevent sleep disorders in children suffering from ADHD and autism (though its use in kids remains controversial). The FDA classifies melatonin as a dietary supplement. Dr. Wurtman sees this as a marketing ploy to circumvent the bureaucratic web of research and patents that typically burden the process of bringing drugs and hormones to market. And that’s where the problems arise. Given the lack of apparent side effects, it may seem harmless to label melatonin as a dietary supplement. But the classification matters for consumers, because the FDA doesn’t require supplements to include warnings of overdose risks on their labels, as is mandatory for drugs and hormones. Perhaps even riskier, the classification allows companies to sell melatonin in varying dosages. In 2001, researchers at MIT concluded that the correct dosage for melatonin falls between .3 and 1 mg. Yet, walk down the pharmacy aisle and you’ll see stacks of sleep aids packing as 10 times that amount. It’s easy to take too much, and most of melatonin’s side effects are the result of just that. While there’s no evidence that too much melatonin could be fatal, or even remotely life-threatening, exceeding the proper dosage can upset the body’s natural processes and rhythms. And, despite common perception, melatonin can cause next-day drowsiness, according to Michael Grandner, a sleep researcher at the University of Pennsylvania. When used occasionally and at the correct time, melatonin is a fine means of encouraging sleep. But, ironically, with prolonged use, it can actually amplify insomnia. Having too much melatonin in the system, the theory goes, overwhelms the receptors, changing how a patient reacts to the hormone — whether it’s endogenous or exogenous. This doesn’t mean melatonin is without potential benefits. Farez wants to see more research on its immunologic potential, as his most recent study suggests melatonin could play a role in managing multiple sclerosis. It’s also widely used to fight certain types of cancer, as it combats tumor cells. Both Farez and Wurtman believe melatonin’s potential benefits outweigh the drawbacks. But that’s largely in a clinical, controlled environment under professional supervision. Allowing melatonin to sit on our shelves, unregulated and sold as freely as aspirin, is a problem waiting to happen.